Every year on February 14th people celebrate love, relationship with others.. and for the third year running, the wonders of Free Software. 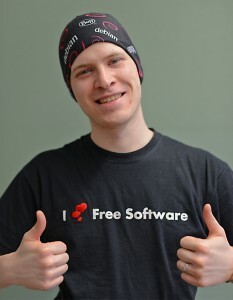 All around the world people expressed their love during the "I love Free software" day. We would like to thank you for participating, and share some lovely quotes, dents, tweets, blog entries and articles that were done because of your dedication to Free Software. When developers will read your declarations, they will definitely find extra energy to carry on their good work. "[...] Whenever I'm feeling down, I take a piece of code, and make it better, then share it with the rest of the world. Knowing that I helped make the world turn, that I contributed to a good cause, a cause that helped me through difficult times - that makes me say that I do love Free Software. And so should you, because knowledge is our greatest asset, and free software helps keeping and improving our knowledge. Cherish it, improve it, love it." "The benefits of Free Software go beyond the individual contributors and the communities they form. The four freedoms laid out as the foundations of Free Software are a fanfare to the ability to exercise one’s free will, to freely collaborate by helping your neighbors, to achieve independence from directions other people have thought up for us. The effects can be seen all around us – when teaching material for schools is developed collaboratively and freely shared, when government data is opened up to improve the transparency of the political process, when the technical foundations of the internet and the operating systems running modern technology become a common good, and in many other places. People start to expect similar freedoms they learned to get used to in software when engaging in society. And more participation is always better." I would love to see this message going out to the people that decide on our daily lives, our legal and educational framework. Since today we celebrate I love FS day, I want to say thank you to everyone who is working for Free Software. Love in its purest form, 'unconditional' is the best. In our fast food society, seldom there is place for the unconditional love. If we exclude the love of mom for her child, then most other relations of love don’t hold strong to the bond of unconditional love. However, I feel privileged at the unconditional love showered by the people(developers, maintainers, users etc) of the "Free Software Foundation". 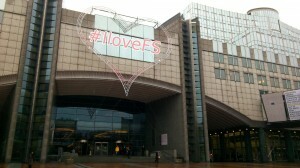 Description: eal's blog: The European Parliament celebrating and promoting Free Software – for a Free Society. 2013-02-14: Our German coordinator Matthias Kirschner answered a few questions about #ilovefs campaign in the Detektor FM radio. 2013-02-14: Heise Online: #ilovefs: Am 14.2. ist "I love Free Software Day"
2013-02-14: TWAGO Das Magazin: Frohen Valentins- und Umarmt-einen-Programmierer-Tag! 2013-02-14: TWAGO IL Magazin: Buon San Valentino e… ama i programmatori! 2013-02-14: The TWAGO Magazine: Happy Valentine and... love the programmers! P-NP Comics made a cartoonto thank the GIMP developers.